A story about my journey through the world of photography. 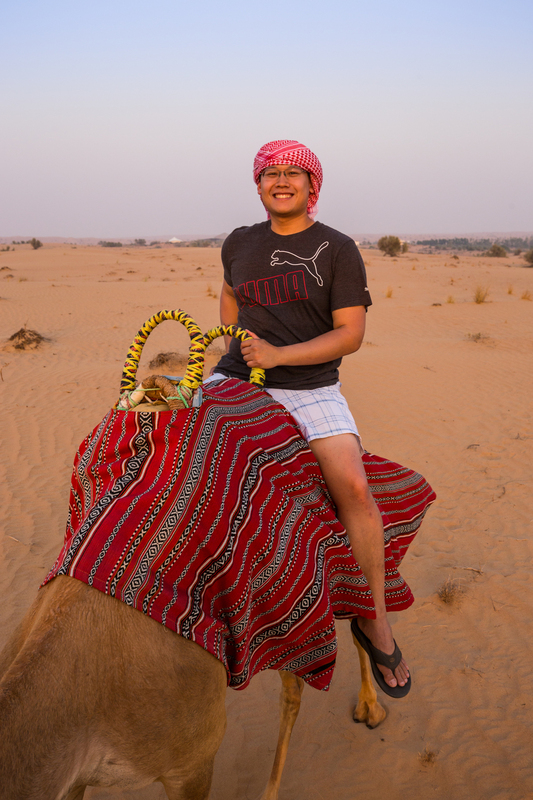 Riding a camel in the Dubai desert. I was born and raised in Kelowna, BC and had a great childhood growing up there with friends and family. I moved to Victoria for university and during that time, I also completed an international exchange at Peking University in 2008 and that's what sparked my photographic interest. Exploring and backpacking throughout China really opened my eyes and compelled me to share my photos and adventures. Since then, I've had my ups and downs with photography. I heavily invested in photo equipment in 2009/2010 and tried to grow my skill set and take pictures of anything and everything that I could. I moved to Vancouver in 2010 to start work at PwC and to earn my CA designation. The program was quite demanding and due to time constraints, I was taking fewer and fewer photos. I realized that my equipment was fast becoming very heavy and expensive paperweights under my bed... so on a cold day in February 2013, I decided to sell all of my equipment and shipped it to a dealer in New York. It wasn't all bad news though as I used the proceeds to help buy a car. I happily downgraded to a Canon bridge camera for normal everyday use and I took the bridge camera and a friend's entry-level DSLR to Hawaii and had a great time. However, I wondered how the photos would turn out once I brought them home. The photo quality was as expected from a compact camera but I really longed for my old gear and for more creative freedom. I hadn't been seriously into photography since 2010 but I did my research on all of the new gear and finally made the plunge again in May 2014 with the purchase of the Canon 6D. Since then, I've been trying to get back up to speed with the photography world and also trying to (usually unsuccessfully) limit my Gear Acquisition Syndrome (aka GAS; it's actually a thing, click here for more info). My friends have also asked for many photos over the years but more often than not, my images tended to remain in Lightroom rather than be published. So I decided to create this website to share my photos and adventures with all of you and also to help motivate myself to keep on taking pictures! Thanks again for sharing your time with me!